A mug for a couple in love. 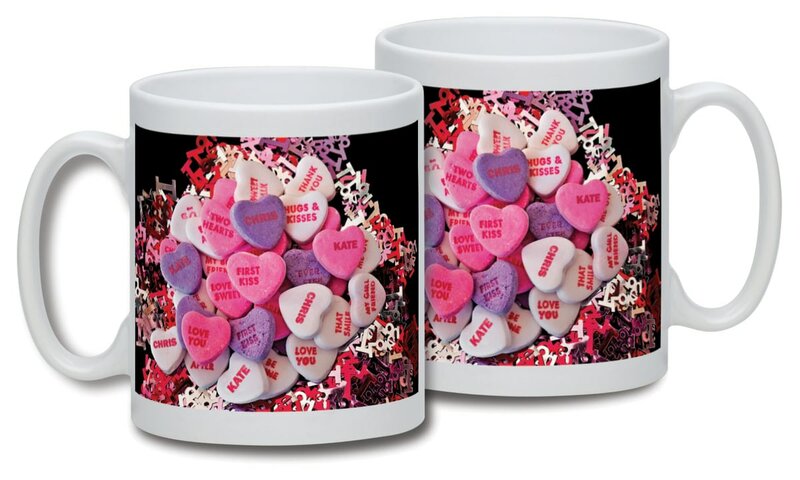 A collection of love hearts with the couple's names integrated into the image as messages on the sweet, and featured on both sides of the mug. The 10oz mug is dishwasher and microwave safe, and it is scratch resistant. It's best to order two and avoid them squabbling over one.